Just months after giving birth to baby No. 4 with husband Alec Baldwin, the yoga instructor shared a dramatic mirror selfie. 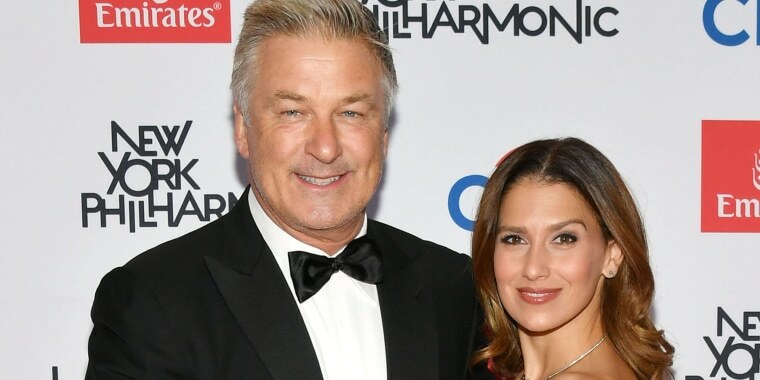 It's been less than five months since Alec and Hilaria Baldwin welcomed their newest addition, son Romeo, to the world, but you'd never guess that by looking at mom now. In fact, on Wednesday, the 34-year-old yoga teacher and author invited her fans and followers on Instagram to do just that — take a closer look at the post-baby body. "The recovery from baby number 4 continues," she wrote alongside a trio of selfies. In each of the photos, Hilaria stands before a full-length mirror and strikes a similar pose, showing the changes in her body at nine months pregnant, 12 days postpartum and, now, four and half months after giving birth to Romeo. "I share my journey and posts here because I believe so strongly that smart exercise, good eating, and a calm mind= healthy body," she explained. Some followers chided her image, saying it was "photoshopped," (a claim the fitness guru denied) while others said the photo could be harmful to new mothers who feel pressure to change their bodies after giving birth. Others say her photos are inspiring. Her passion for fitness is nothing new, and neither is her discussion about her body after giving birth. In 2016, she shared a photo of her form just 24 hours after giving birth to son Leonardo in an effort to "normalize a real body and promote healthy self esteem" in what she referred to as an "age of such strong body shaming." In addition to sons Romeo and Leonardo, Hilaria and Alec, who married in 2012, are parents to Rafael, 3, and daughter, Carmen, 5. Alec has one other child, 22-year-old model Irland Baldwin, with ex-wife Kim Basinger.